Paris is an exciting city to discover as a family, and offers a fun choice of kid-friendly sights. Here are some tips for families traveling to Paris that we’ve learned from traveling in Paris with our own children — and from our family, friends and guests. 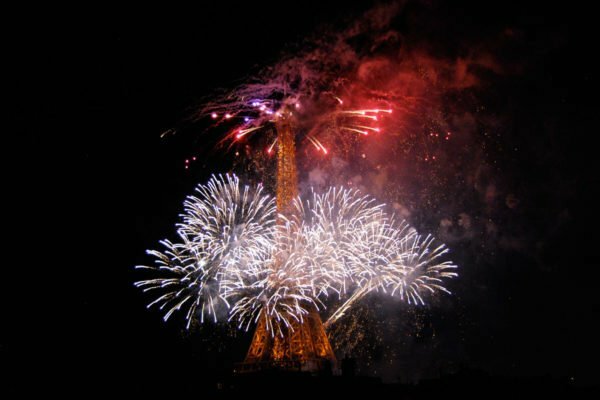 We hope these suggestions help your family experience a vacation of a lifetime in Paris! Stay in a Paris Apartment Rental so you enjoy the benefits of a kitchen and living room. You’ll save money over a Paris hotel because you won’t have to eat out for every meal. Your family will enjoy the space and opportunity to relax after a day of sightseeing, enjoy free phone calls to anywhere in the world and free internet as an added bonus. Look for a Paris apartment near public gardens. 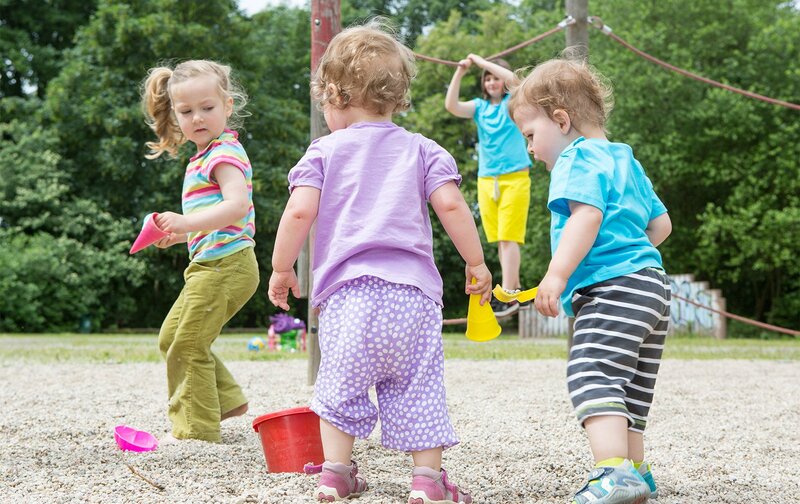 There are only a few green spaces in Paris, and if you have children, it’s well worth selecting a Paris apartment nearby. They’re great for children to run around and decompress and for families to sit outdoors and enjoy a picnic after serious sightseeing. 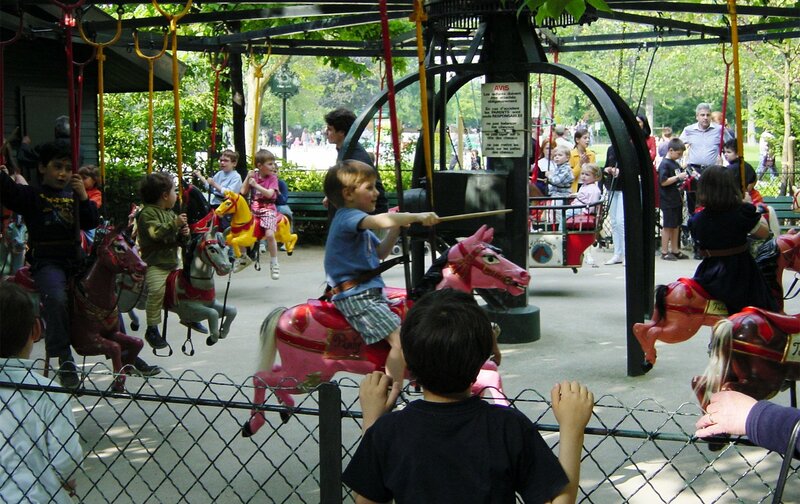 Remember that even French parks and playgrounds are a fun cultural experience. Relax on a park bench and observe generations of Parisian families enjoying themselves. The best parks are the Champs de Mars and Eiffel Tower in the 7th arrondissement and the Luxembourg Gardens in the 6th arrondissement. For example, this Paris apartment rental accommodates a family of six and is located just across the street from the Champs de Mars Park. Your kids will love the balcony and spectacular views of the Eiffel Tower at night! Our St. Julien apartment in Paris accommodates a family of five and is popular with families since it is literally across the street from the Champs de Mars gardens. Plan one major outing per day, then have a nice lunch or return home to eat and do something more relaxed in the afternoon. Suggestions are a boat ride, playing in the park or food shopping. Growing up in Europe, my mother was so excited that she often drug us through multiple museums and cathedrals a day – or so it felt. We hated every minute! While we may have never wanted to read the entire explanation of how the obelisks were transported by Napoleon to Place de la Concorde (but we did), we were always up for pastry sampling afterwards. Bring your children along to do the food shopping. It’s one of the favorite activities they’ll remember! They’ll love studying the words on the cereal boxes, trying to pronounce them and noticing how different the packaging and selection is in France. Our children think that the cookie shelves offer more selection and better taste in France than anywhere else in the world. Make sure everyone in the family has a note with the address and phone number of where you’re staying! One family who stayed in the spacious Chateauneuf Paris apartment visited Notre-Dame in the morning by taking the 87 bus. To return home they took two taxis since the youngest children were tired. The children ended up in one taxi and the parents in another. Naturally, the taxis became separated and children lost—without mobile phones, no phone number for them to call and no address. The parents called us in a panic and we began to call the police, taxi companies, the American Embassy and instituted a neighborhood search. After several hours, the resourceful children appeared in front of the building, tired but safe. The taxi had left them near Notre-Dame when they couldn’t tell him where they were going. The kids saw the bus stop nearby and slowly followed the bus stops all the way home. While these children were resourceful, it’s better to be prepared! Teach your children about the important French custom of greeting people you meet. When someone says “Bonjour” to them to look them in the eye and say “Bonjour Monsieur” or “Madame” in return – whether a shopkeeper or an acquaintance. If they are acquaintances or family, younger children kiss adults on each cheek and say ‘Bonjour’. Adolescents and older shake the hand of the other person, whether another adolescent or an adult! My American nieces and nephews had trouble adopting these customs, until we explained that it is obligatory for most children in France. We wish you a wonderful family stay in Paris! PREVIOUS: Secret Shoppers: Finding the Best Pâtisserie’s in Paris ! NEXT: The Merlot Apartment in Paris: Before, After & After Again! Posted on Thursday, October 14th, 2010 at 9:00 am in See & Do. You can follow any responses to this entry through the RSS 2.0 feed. You can leave a response, or trackback from your own site. We leave in less than three weeks and can’t wait! Our family of six (four kids, twelve and under) decided that an apartment would probably be the way to go…we’ve booked through your firm and are so excited. We’ll take your advice to heart, and maybe have a little to add when we get home. Thanks so much for your lovely blog!